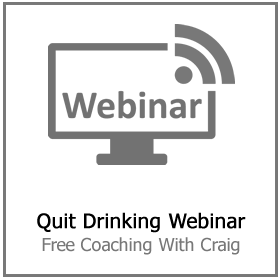 Aiming to cut back on drinking is always a mistake for someone addicted to alcohol. Many people with a drinking problem come to me for help. However, the first thing they make clear is that they don’t want to stop, they only want to cut back on drinking. Sometimes they add that they really do enjoy alcohol and don’t want to lose that pleasure. After I have finished slapping myself about the head a little, I get busy explaining why that might not be such a good idea. I understand where this desire is coming from. At the height of my drinking career, I spent years not trying to stop but finding more and more ridiculous ways to attempt to force moderation upon myself. I refer to alcohol as The Evil Clown because it helps people understand that booze is not their best friend, it is not even an ambivalent bystander. Alcohol is your worst enemy, and he doesn’t have any intention of playing fair. This drug kills over 3,000,000 people every year, and it wants you to be the next. 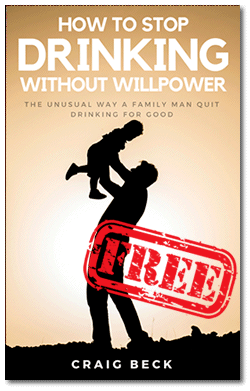 Why cut back on drinking and not quit completely with this knowledge? I tell my clients that these are the most dangerous five words they will ever say or think. The reason is the first drink is the only drink that will be your choice. Alcohol is such a devious drug because the first thing it does in the mind of the addict is cue up the desire for the second drink. Next, it disables the parts of the mind responsible for making logical decisions and also interferes with our ability to feel pain and other life-saving warning systems of the human body. This is why before the days of modern anesthetics, someone undergoing an operation was liberally plied with generous measures of Rum. 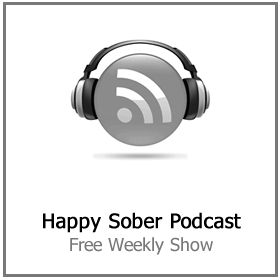 Alcohol is a poor quality anesthetic buy why is that so dangerous for the alcohol addicted individual? The human body is a fantastic machine. It has evolved over millions of years by always following the prime directive, which is to stay alive at all costs. For example, if you ingest rotten food or poison, the body can detect these substances and then force you to respond in a way that is most likely to save your life. If you drink poison, you will very quickly feel extremely ill; this is your central nervous system telling you in no uncertain terms that we have an emergency to deal with. Next, you will start vomiting, your conscious views on whether this is a good idea or not are never saught. The subconscious mind goes into full evacuation mode whether you like it or not. Make no mistake about it; Alcohol is a poison. So why don’t we feel instantly ill and start vomiting as soon as we start drinking it? It’s a good question, and the deviousness of the Evil Clown here may even impress you. The truth is your body is trying to tell you that you have just swallowed poison but alcohol has anesthetized the part of your brain responsible for carrying this message to you. It has also paralyzed the section of your mind responsible for inducing vomiting. This is pure genius, and at the same time, it is pure evil. 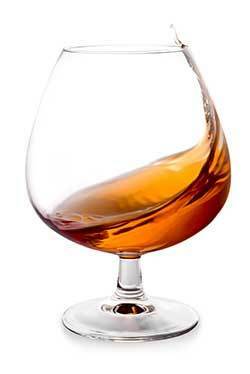 Alcohol is like a serial killer that knocks you out first, so you don’t make any noise while he steals your life. So if you are thinking of trying to cut back on drinking, then I would advise you to consider that you are not playing with a friend who has your back. The deck is stacked, and you are trying to make a deal with the devil all the while hoping that he won’t lie to you. The reality is that even if you achieve your goal to cut back on drinking it will make you more miserable than you dreamed possible. 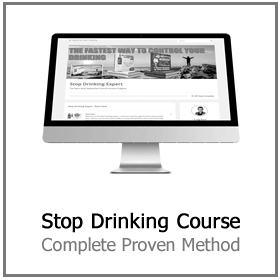 Drinking in moderation is recommended by the drinks manufacturers because they know full well that it is practically impossible for someone who is already addicted to alcohol. The first drink will relieve the cravings you have for a drink. 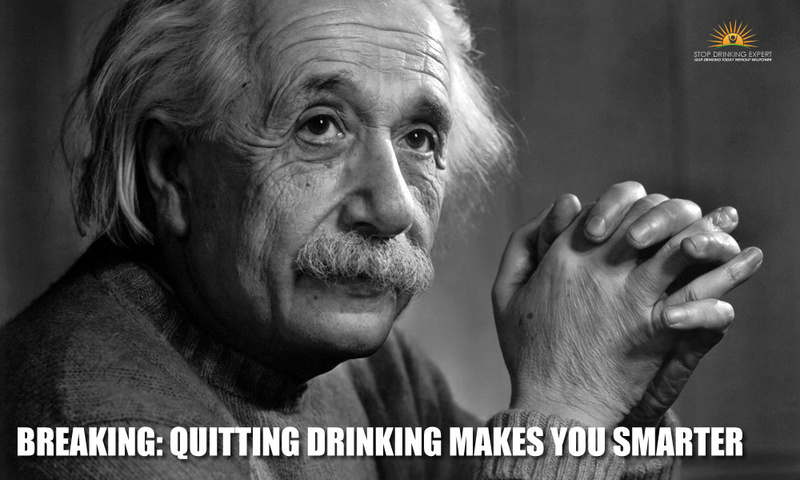 However, because you have been drinking for many years, perhaps even decades. One drink is nowhere near enough to deliver the effect you desperately need. So, all that first drink is going to do is pacify you for a few minutes (no more than that) and then amplify the craving that was there in the first place. Now you want to drink even more than you did before but you are using willpower to try and force yourself to avoid the thing you want more than oxygen. Drinking in moderation isn’t freedom, it is pure hell on earth. 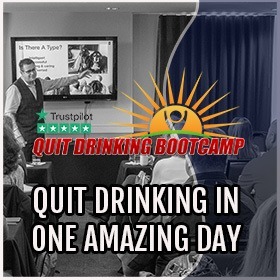 Whether you attend one of my live quit drinking seminars or join the complete online program, the message is always the same – stop drinking completely and not to cut back on drinking. I understand that will sound a terrifying prospect to many, but it doesn’t have to be painful or unpleasant. My method works so well because I make it enjoyable not to drink. 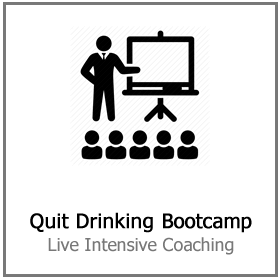 Click here for dates and tickets to one of my live quit drinking seminars.